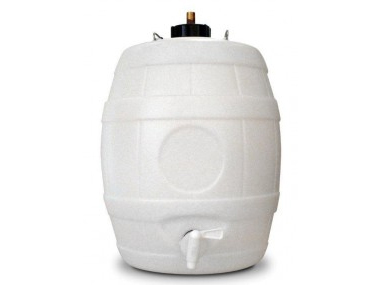 Order Ritchies Pressure Barrel from the Stirling Homebrew Shop UK. Buy Ritchies Pressure Barrel with cap, tap and brass valve and other Homebrew Accessories safely online in the UK. Use the pressure barrel for storing beer (or wine). The barrel is extra strong plastic for containing pressurised liquids. Comes with cap, tap and brass valve. Use the pressure barrel for storing beer (or wine). The barrel is extra strong plastic for containing pressurised liquids. Comes with cap, tap and brass valve. Where to buy Ritchies Pressure Barrel safely online? Shop at the Stirling Homebrew Shop if you are wondering where you can buy Ritchies Pressure Barrel with cap, tap and brass valve safely online in the United Kingdom. Pressure Barrel - Ritchies Pressure Barrel with cap, tap and brass valve in Homebrew Accessories and Homebrew.